So Easy to Shape The Beard! The salon guys are going to hate this but here’s your solution to keep your face clean and your beard shaped all days of the week. No more waiting in line at the salon or spending sums of money just to shape your beard. Watch this video on how a simple comb brush can help you shape your beard with ease and precision. 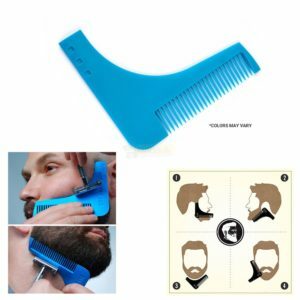 It doesn’t take many tries to get the perfect shape with this beard comb. Order any one of recommended beard trimmers, shavers & hair clippers, and get the beard comb for FREE! How to Use Russian Icing Nozzles?